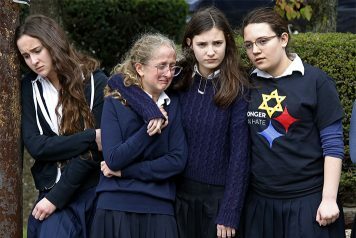 That’s how Kathleen Munhall felt when she heard a shooter walked into the Tree of Life synagogue on Saturday morning and claimed 11 lives and injured six others in Pittsburgh, Pennsylvania. She’s lived in the city since 1955, but has never experienced anything like this. Munhall and six other crisis-trained chaplains from the Billy Graham Rapid Response Team (RRT) were invited to offer emotional and spiritual care to the hurting community that’s facing one of the deadliest attacks on Jews in U.S. history. Since Sunday, the team has seen the community’s diverse culture rally together, knocking down the common barriers of varying religions. Following an interfaith community prayer vigil Sunday night, the chaplains were asked to participate in a prayer and praise ceremony Monday evening, during which the chaplains and local rabbis circled before the Lord arm in arm. “It was very, very powerful and moving to collectively see people coming together in prayer and worship,” said Chaplain Coordinator Carolin Perez. 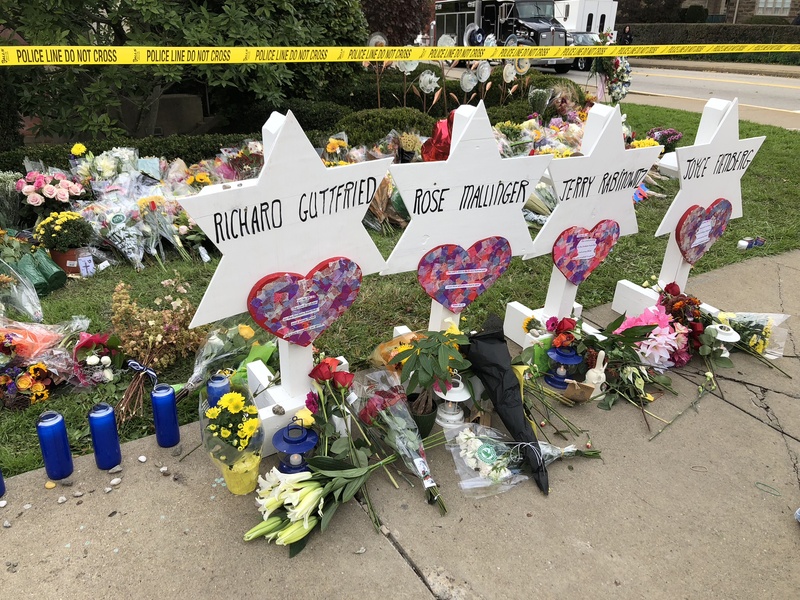 She and the chaplains have been ministering to law enforcement agencies and providing a ministry of presence at a memorial site located at the synagogue, which is in a predominantly residential area in Squirrel Hill—the hub of Pittsburgh’s Jewish community. 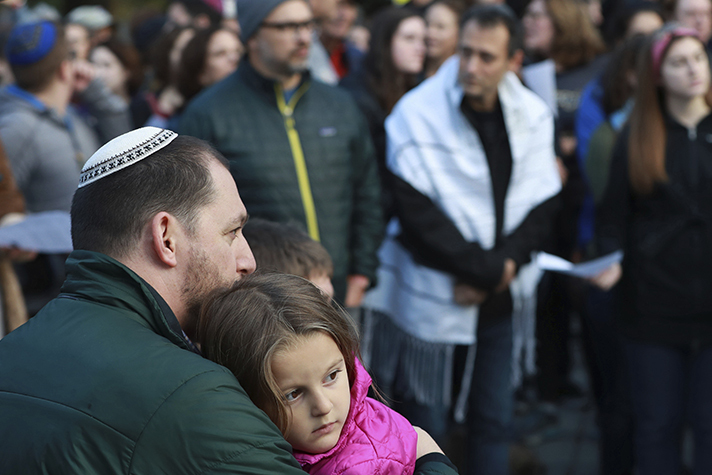 She’s noticed many young people and local college students at the memorial site, sharing their concerns about the tension and fears from being Jewish. A man from Illinois made 11 wooden memorials shaped like the Star of David to honor each life lost in the attack. Even with a population of more than 300,000, Munhall claims that the community is tight-knit in many ways, all rooting for the Steelers. “A lot of people have come to the chaplains and said, ‘I need a hug, someone’s arms around me to tell me it’s going to be OK,'” Perez said. She’s witnessed the aftermath of shootings like these multiple times, having been on more than 30 deployments with the RRT. And while the world may seem anything but OK at the moment, the chaplains are praying for the city—which has a background in the steel industry—to find hope that can’t be penetrated by bullets. “Lots of people from all over the world live here in a cozy little nest called Pittsburgh, which is not so cozy anymore,” Munhall said. Historically, there’s been a variety of ethnic communities in the city, which was once the major corporate center between New York and Chicago, Munhall explained. “The Jewish community has remained very intact,” Munhall continued, adding that they have everything they need in their own neighborhood—from restaurants and stores to a movie theater. Over the years, it’s grown and spread out in the area geographically, making up nearly one-sixth of the population. “There’s been no roadblock at all to interfacing,” Munhall said. And for her, the attack is personal, as it affected a family friend and nurse, Daniel Leger, who was among those injured but survived. In 1980, Leger took care of her 5-year-old daughter after she fell and had a severe brain injury. While the whole city seems to now be in a vulnerable state, Munhall doesn’t want hatred to overcome it. “I believe with all my heart we can rise above this with love, and God will help us do it,” Munhall said. Even in the midst of darkness, there is hope and peace in Christ. Start a relationship with Him today.